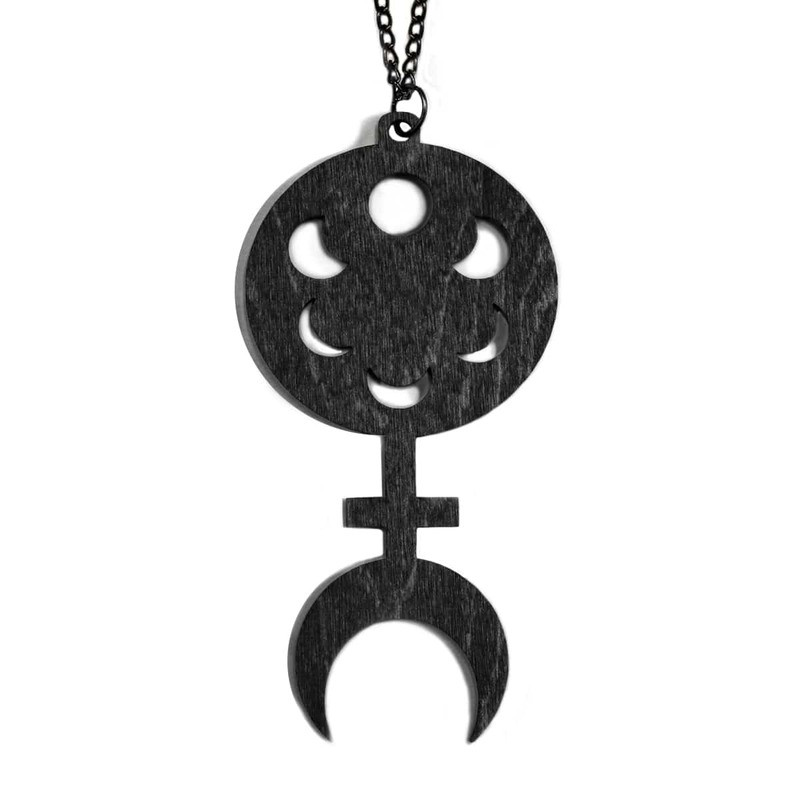 High-quality birch wood necklace with a moonphase feminist symbol. Designed in-house, custom made for Hellaholics and produced in Finland. Wooden black colour. 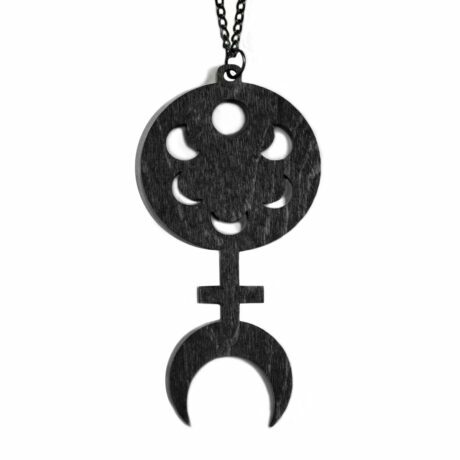 Nickel free metal alloy chain. Light-weight, comfortable for everyday wear. Please note that this is a wooden product and therefore have a distinct wooden smell at first, this will decrease during time and wear.